Born in Brooklyn New York in 1979, Jacob grew up in a musical family where his talent was recognized early on. He was accepted to study classical cello performance at the prestigious Interlochen Arts Academy for high school before attending the Cleveland Institute of Music for his Bachelor’s Degree and the University of Southern California for graduate studies. Strings Magazine has hailed Szekely as “One of the leaders in the Creative String Community.” And Berklee cello professor and multiple Grammy winner Eugene Friesen has declared Jacob’s playing to be to be “The first time a cellist has made the case as a leader in modern jazz!” In 2013, Jacob founded the Jacob Szekely Trio and released their debut EP which was hailed by critics from The Strad, Strings Magazine, International Musician, the LA Weekly and artists from Yo-Yo Ma to Rush Bassist, Geddy Lee as a “quantum leap forward” in pushing the boundaries of the instrument. In 2015, Jacob’s trio released their debut album which made several year-end top ten lists for JazzEd, International Review of Music and several others. Mr. Szekely is also in great demand as a sideman and session player in Los Angeles having appeared in hundreds of commercials, television shows and movie scores. Jacob has been a featured performer (solo cellist) with such popular artists as Mary J Blige, Jay Z, Ellie Goulding, Avril Lavigne and Rush; and on such television shows as Battlestar Galactica, the Walking Dead, and the Sarah Connor Chronicles to name a few. In addition to his busy schedule as a performer, Mr. Szekely is also active as a composer and arranger. He has collaborated with a wide range of artists and ensembles from string quartets and world music groups to commissions for chamber orchestra and children’s choir. In 2007, Jacob expanded his role as musical ambassador through the co-founding and artistic directorship of String Project Los Angeles, a music school and resource for the alternative string playing community throughout the world located in Venice, California. String Project Los Angeles was name by Strings Magazine as “One of the top 10 reasons to study music in Los Angeles” and by Jazz violinist and Downbeat poll winner Christian Howes as “a model for all string teachers in America.” In addition to String Project Los Angeles, Jacob has also conducted residencies and master classes across the United States at UCLA, Cal Arts, the Berklee School of Music, Oklahoma State University, Georgia State University, the University of Southern California, Ithaca College and the American String Teachers Association’s national conference to name a few and is founder and Artistic Director of the Annual Los Angeles Creative String Festival. Jacob has also served on the summer faculty of numerous festivals including the New Directions In Cello Festival and Christian Howes’ Creative Strings Workshop with whom he co-authored an article in the July 2012 issue of The Strad advising string teachers on how to approach improvisation. In 2013, Jacob launched The Improvisor’s Guide to the Cello…the first ever comprehensive video learning series designed to address the unique challenges classically trained cellists face when approaching creative string playing. In August 2015, Jacob introduced The Improvisor’s Guide to the Cello Academy: the first ever online interactive online community for creative cellists. 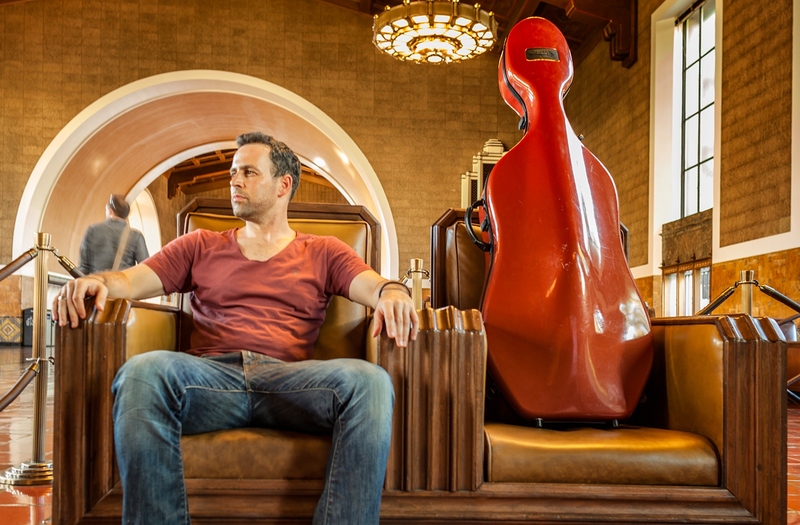 Jacob is a Steinberger and Danish Professional Audio artist, a Yamaha Clinician, and performs on his five string Steinberger Electric Cello as well as several 4- and 5-string acoustic cellos. In August 2015, Szekely released the ThePickupTest.com which represents a new online global resource for amplified string players featuring tutorials, tabletop reviews and the first ever comprehensive sound library of every pickup on the market for violin, viola, and cello.